Porto Marghera is the part of the Port of Venice mainly dedicated to commercial traffic, and is located in the city of Marghera slightly south of Mestre. Being on the mainland, it is reachable by car both from Mestre and from Marco Polo Airport, and it is right in those two areas as well as in Piazzale Roma, that Parclick recommends you book your parking place near Porto Marghera. See which spots are available from the map! Piazzale Roma is particularly suitable if besides Marghera you want to visit the city centre of Venice being just a few yards away on foot, remembering that the centre is out of bounds to vehicles. The square is connected to Mestre by Ponte della Libertà. Alternatively, the car parks in Venezia Mestre are closer and once you have left your vehicle, there are numerous ways to reach Marghera and its port. Public transport in Marghera is run by ACTV, which provides 24/7 service to connect the Port of Marghera to the heart of the Venetian lagoon, and also has rail service through its Venezia Porto Marghera Station, that unites the industrial and residential areas with the stations of Venezia Mestre and Venezia Santa Lucia. As previously said, the Port of Marghera handles the commercial side of the traffic to the Port of Venice, which is mostly oil tankers and container ships, even if it has only been recognised as one of Italy’s most important industrial and commercial ports since the fifties. 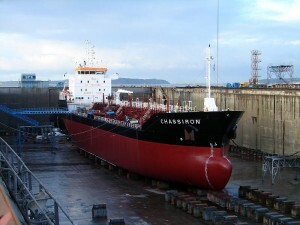 Recently, in 2010, the Port of Marghera was expanded enabling ships up to 290 metres long to moor there. The port is highly interconnected with Marghera’s industrial area, where there are numerous shipyards for construction and repair work Indeed, in the 20 years following the Second World War, it was the Port of Marghera that attracted inhabitants from the hinterland making Marghera a town of 28,000 inhabitants, today. If you are going to the Port of Marghera, it’s worth stopping in its centre to see its monuments such as the Church of Sant'Antonio and the Church of Gesù Lavoratore. With Parclick you’re only one click away from finding and booking your parking spot near the Port of Marghera.